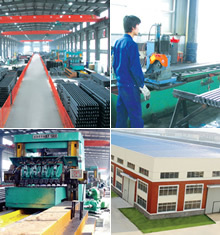 About Us-Jiefeng Elevator and Escalator Co.,Ltd. - JIEFENG E&E CO.,LTD. Sell to 75 countries and over 500 customers select us. Jiefeng is the expert when it comes to escalator parts.With access to thousands of asbuilt records,we can help you confirm the major components you may need. We sell high quality parts made to OEM specs,including step chain, step, rollers,comb plate,guide chains,rubber handrails,inlets,v-belts,drive chain,pallets,skirt brush,demarcations,door accessories and much,much more! Whether you're doing simple maintenance,a completed clean-down,or an overhaul,contact Jiefeng today! Pls check our website www.escalatorparts.cn and find the parts which you require. Regarding customer's satisfaction as its basic duty with excellent service, Jiefeng would like to meet the extra demands. The guests from home and abroad are warmly welcomed to visit Jiefeng for business negotiation and future cooperation of mutual benefit!